Strangely enough, no one has heard former Sega president Tom Kalinske speak about his time with the company since he left it in 1996, but it certainly hasn’t been because it was uneventful. Plenty of great stuff was going on during those six years that he was in charge, and Sega saw its profits rise to record heights, finally snatching the market away from rival Nintendo. Though there are many factors that contributed to Sega’s success during the 16-bit era, no one can deny Kalinske’s influence. Everything from advertising to R&D had his stamp, and so successful was the American branch’s tactics, that they actually incurred the wrath of Sega of Japan! Yes, it’s an exciting tale that can now be heard from the man who was at the center of it all. With a long history of success at both Mattel and Sega, Kalinske continues to bring his business expertise to bear at LeapFrog, which has experienced incredible growth since he began there in 1997. He currently serves as its Vice Chairman. This week, Sega-16 chatted with Mr. Kalinske over the phone for the better part of an hour. Calm and friendly, he shed new light on many of the most controversial events surrounding the American and Japanese branches of Sega, as well as what went into making the Genesis the king of the 16-bit era. Sega-16: You haven’t really given any Sega-related interviews since you departed the company in 1996. Why is that? Tom Kalinske: I don’t think it ever came up; I don’t think I was ever asked by anybody. I mean, I don’t think that’s particularly abnormal. In the United States, once you move from one position to another, they don’t generally call and ask you about past stuff. Sega-16: Michael Katz recently stated that Sega of Japan wasn’t very controlling during his tenure as president, but all counts indicate that this wasn’t the case later on. Do you agree? What do you think made them change their stance, even as the Genesis began to pick up steam in the U.S.? Tom Kalinske: Well, it certainly depends. They weren’t controlling of me at all at first. Frankly, I was brought in and told I had to replace Katz, so that was kind of hard for me because Mike and I were friends; I knew him from my Mattel days, but it was clear that even though he might have felt that they were not controlling, one of the reasons they brought me in was because they wanted me to get rid of him. So, it’s strange that he’d say they weren’t controlling of him. But anyway, it was an interesting situation for me, and I’ll just give you a quick rundown on what I remember from as soon as I was hired. I mean, as any executive coming into a new situation like that… well first, let me back up. I knew Hayao Nakayama from when he was a VP of distribution or marketing for Sega when it was still owned by Paramount. In those days you know, Sega was founded by some American G.I.s after the Korean War. Their initial idea was that there was a whole lot of G.I.s over here in the Far East, so let’s bring American pinball machines and jukeboxes to little parlors around the military bases so they’ll feel more at home, and this stuff will be terrific. That’s what they did for a number of years and then after a while, a light bulb went on, and they said “wow, we’ve got this all wrong. We should be designing and manufacturing this stuff here in Japan and sending it to the U.S. and Europe.” The company evolved in that manner and was, I think, initially purchased by Gulf+Western, then purchased by Paramount Pictures, and finally Bally/Midway; before being sold back to Rosen. Something like that was the history. So, I knew Hayao Nakayama when he literally worked for Dave Rosen, Berry Diller, and Michael Eisner, back when they were at Paramount. I was at Mattel at the time, so I got to know him a little bit. Anyway, years passed, I was at Mattel for a long, long time. I then bought Matchbox Toys with some friends out of bankruptcy in the U.K. We ended up selling it in 1990. I’m lying on a beach in Hawaii, literally lying on a beach in Hawaii, and a shadow comes over me and I look up – it’s Hayao Nakayama. He says “Hey Tom what are you doing?” I say, “Well, I’m here on the beach relaxing.” He says “why don’t you come back to Japan with me? I want to show you some really great technology.” I didn’t know what he was talking about, but literally, that’s how the dance of recruitment started. I did go back to Japan with him; I looked at the Sega Genesis technology; I looked at what became the Game Gear (the handheld color portable device), and I basically fell in love with the technology. I really thought that this stuff had some potential, so I ended up joining, and I went to Sega of America in Redwood Shores. Michael Katz was running it; it was a small company, and I started reviewing everything that they’re doing. There were a bunch of other stuff I’m not remembering right now, but I said that if we do all these things, we have a shot at being successful. 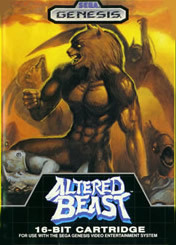 Oh, and the other one was that we’ve got to take Altered Beast out and put our own character in. There was a combined U.S./Japanese team working frantically on what became Sonic The Hedgehog, which wasn’t called that at the time. I said that we have to put that in with the hardware, and that really pissed them off, because they said I was nuts to want to put our best software title in with the hardware. They felt we already stood to make no money on selling the hardware, particularly if we followed my advice and lowered the price. If we then have no margin on the hardware and we put in the best software title, which should have a 65-70% gross margin, then we were giving up all that profit as well. It made no sense whatsoever. So from that day, for the next four years, I don’t think they ever interfered in any decision we made. Now, part of that is because it all worked! (Laughs) And we went from a 1% share of the market to, by 1994, a 50% share of the market. In a nutshell, that’s what happened. Along the way we did lots of great things. We did a great advertising campaign with the Sega Scream and Welcome to the Next Level, and of course ridiculing Nintendo. We developed some great software in the U.S., developed some strong sports franchises and American licensed characters, as well as continuing to sell the strong Japanese software. We built a very good team in the United States, most of whom are still in the industry. Sega-16: Do you think Katz was treated fairly by Sega? Tom Kalinske: Oh yes, I think he was treated fairly. I think he was treated very, very fairly and certainly got a nice severance package, but the fact of the matter is that the company was not successful under Mike. You know, it’s a tough world, and changes occur when companies aren’t successful. Sega-16: Katz seemed to feel that Japan’s requirement that a million units be sold in a year was a lot to ask, given Sega’s market position at the time. Do you think he could have met that goal with what was being done at the time? Tom Kalinske: Oh, not a chance. The things I described to you, none of those were Michael Katz’s ideas. He was selling the Genesis with Altered Beast as the pack-in, and he was selling it at $189.99. There was also very little software activity going on in the U.S., and he hadn’t built the company up (gotten permission to hire or didn’t have the budget to), so there was no progress being made. If you remember, Sega sold the 8-bit machine, the Master System, prior to that against Nintendo, and it managed to get a 2% share of the market. Well, that’s what it looked like it was going to do with the Genesis too, and 2% isn’t acceptable to anyone. I know having the goal of a million units seemed crazy, but we did it within…let’s see, I joined the company in November of 1990, as I recall, and I took a couple of months to analyze the market. I think I went to Japan in March of ’91 and had the discussion I just told you about. I believe that twelve months from that date we had sold a million units. Sega-16: That’s interesting to hear, because it validates everything you wanted to do and the Japanese didn’t. Now, hindsight is definitely 20/20, but do you think Hayao Nakayama was ever truly confident that the American branch of Sega could be that successful, or was it more of a “what have we got to lose” decision? Tom Kalinske: That’s a good question, and of course it’s one I’m not sure I know the full answer to. I will tell you that later, many years later, he and other members of the board confided in me that we in the United States had been far more successful than they had ever imagined we would be. Now, I don’t know if that’s because we ended up selling in 1994 3½ million units of Genesis, and he only really thought that we’d only reach a million units and maintain that here for many years or something. I’m not sure what the comment meant, but I do know that we surpassed their expectations clearly, at least by 1994. Sega-16: That sheds a lot of light on what has long been the subject of great discussion among Sega fans: just how capable was the leadership in Japan, specifically Hayao Nakayama, Sega’s CEO? Do you feel he was as capable of running everything as he felt he was? Tom Kalinske: Well, I think he was most comfortable with the arcade division, because that’s where he came out of, and I think he had less experience in the consumer products area. Anything that went through retail in Japan, the U.S., or Europe I think he was less experienced with, as well as any communication or any decision that affected consumers. But I mean, he was a smart guy, and I think it’s easy in hindsight to say “well, he should have left those decisions completely to others.” It’s a very hard thing for one to do when they’re CEO, and he was expected by his board to at least participate in a lot of those decisions. Plus, he had a big ego, so I think it would have been difficult for him to not have been involved in those areas where he didn’t have expertise. Sega-16: It’s good that you mention that, as it must have been very difficult for Japanese game executives to see the American arm of their company leading the way, considering how poorly the Mega Drive was doing in Japan. Do you think that there was some resentment on their part over the Genesis’ success? Could this have been what caused them to exert more authority over how things were run? Tom Kalinske: In hindsight, I think there probably was. I don’t believe there was from 1991-1993. I think somewhere in the mid ’90s, ’94 or ’95, they built up a great deal of resentment, and I didn’t realize it at the time, until probably the latter part of 1995, when one of my colleagues in Japan, who I knew well and had a good relationship with, said to me something to the effect of “you don’t understand how browbeat and annoyed the Japanese executives here are because of your success. Every meeting we go into, Nakayama asks us why can’t you do things the way the Americans and Europeans did? Why aren’t you guys as successful as they are? We’ve been around longer.” I think the local executives didn’t appreciate that he’d take that tone with them. Apparently, he also beat them up over Sonic, which was never as successful in Japan as it was in the U.S. and Europe (to this day, that’s the case), and I think he was always throwing that in their faces too. So clearly, by late ’95 there was great resentment built up: jealously, resentment, and kind of a desire to get back at those Americans that Nakayama kept throwing in their faces. Sega-16: So could that have perhaps caused them to exert more authority over how things were done? The inner rivalry that existed between the American and Japanese branches of Sega is legendary, and most believe that this, rather than any hardware decision, is what caused the company to lose its focus. Would you agree? How much do you think SOJ’s treatment of its U.S. branch hurt business? Tom Kalinske: I think so. I don’t know how many different instances you know about, but what basically occurred (and I’m probably going to be a little fuzzy on the timing. Joe Miller could probably help you on that one) was that we all knew that there would come a day when the Genesis would no longer have a life, and we’d have to move on to the next technology. There was of course, a big debate as how best to go about that. When we started the CD-ROM efforts, clearly those were the early days of using optical discs for video games, and it was very rudimentary (a lot of it was even done in black & white back in those days), and the combination of live-action and real program software was very difficult. I remember Joe Miller and I were talking about this, and we had been contacted by Jim Clark, the founder of SGI (Silicon Graphics Inc.), who called us up one day and said that he had just bought a company called MIPS Inc. which had been working on some things with some great R&D people, and it just so happened that they came up with a chip that they thought would be great for a video game console. We told them that in the U.S., we don’t really design consoles; we do the software, but it sounded interesting and we would come over and take a look at it. We were quite impressed, and we called up Japan and told them to send over the hardware team because these guys really had something cool. So the team arrived, and the senior VP of hardware design arrived, and when they reviewed what SGI had developed, they gave no reaction whatsoever. At the end of the meeting, they basically said that it was kind of interesting, but the chip was too big (in manufacturing terms), the throw-off rate would be too high, and they had lots of little technical things that they didn’t like: the audio wasn’t good enough; the frame rate wasn’t quite good enough, as well as some other issues. So, the SGI guys went away and worked on these issues and then called us back up and asked that the same team be sent back over, because they had it all resolved. This time, Nakayama went with them. They reviewed the work, and there was sort of the same reaction: still not good enough. Now, I’m not an engineer, and you kind of have to believe the people you have at the company, so we went back to our headquarters, and Nakayama said that it just wasn’t good enough. We were to continue on our own way. Well, Jim Clark called me up and asked what was he supposed to do now? They had spent all that time and effort on what they thought was the perfect video game chipset, so what were they supposed to do with it? I told them that there were other companies that they should be calling, because we clearly weren’t the ones for them. Needless to say, he did, and that chipset became part of the next generation of Nintendo products (N64). So that’s an example of how, partly due to our success in America, Japan just didn’t want to do the things that we suggested. Sega-16: Allegedly, Yuji Naka left Sega of Japan in disgust after Sonic The Hedgehog was released and ended up at the Sega Technical Institute, where he began work on the sequel. Is there anything you can tell us to validate that rumor and if so, what happened there? Tom Kalinske: It was never clear to me whether he left in disgust, but he was clearly at the Sega Technical Institute, and he clearly brought a few guys with him. They had a bunch of our guys, and they worked on Sonic The Hedgehog 2, which in my opinion is the best Sonic we ever did. Sega-16: Do you think this caused any bad blood with Japan? Tom Kalinske: I’d imagine it did. Yeah, it most likely added more fuel to the fire. I think he (Naka) wanted more freedom, and since Sonic wasn’t as successful in the Japanese market as it was in this one, he probably wanted to be closer to where it was successful and listen to why people thought it had been successful, as well as get the input of Americans who loved the character and gameplay and all that. I think there was a lot of that in there too. I don’t know if that means he was disgusted; I think he just felt that there was a better opportunity by working out of our office. Sega-16: To this day, gamers have a love/hate relationship with the Sega CD, and unfortunately many don’t bother to look past the full-motion games in its library, where there really is a lot of quality software. In your opinion, what did you think was genuinely needed to make it a success? Tom Kalinske: That’s a good question, and you have to remember that this was the very beginning of the optical medium in terms of a video game experience, and none of us knew what the hell we were doing! I mean, it was really an experiment, a great learning experience. One of the interesting things to me is that one of our strongest partners in developing for that platform was Sony. And Sony didn’t have a hardware division (at least for video games) at the time. They had a software division run by Olaf Olafsson, who was a great partner to us. They spent lots of money developing games for the Sega CD (probably more than we did), we gave them technical help – a lot of it; we loaned them people, and there was really this wonderful collaborative effort. We each benefited from each other’s work, and I think that’s one of the things that has been forgotten in video game industry lore or history: that this very strong bond existed back then between the two companies. In fact, taking it to the next step, at one point Olaf, Mickey Schulhoff (former Sony of America CEO), and I discussed that since we had such a great relationship from working on the Sega CD, why don’t we take what we’ve learned from our software developers – their input – and use it as the criteria for what the next optical platform ought to be? So we got all that and put it together so that it wasn’t just pure engineeringese (jargon) but something that people could understand. I remember we had a document that Olaf and Mickey took to Sony that said they’d like to develop jointly the next hardware, the next game platform, with Sega, and here’s what we think it ought to do. Sony apparently gave the green light to that. I took it to Sega of Japan and told them that this was what we thought an ideal platform would be, at least from an U.S. perspective, based on what we’ve learned from the Sega CD, and our involvement with Sony and our own people. Sega said not a chance. Why would it want to share a platform with Sony? Sega would be much better off just developing its own platform, and it’s nice that we had some ideas on what that platform ought to be and they’d consider it, but the company would be developing its next platform itself. When you think back on that position, it’s an interesting one. We all knew we were going to lose money on the hardware, so our proposal was that each of us would sell this joint Sega/Sony hardware platform; we’ll share the loss on the hardware (whatever that is, we’ll split it), combine our advertising and marketing, but we’ll each be responsible for the software sales we’ll generate. Now, at that particular point in time, Sega knew how to develop software a hell of a lot better than Sony did. They were just coming up the learning curve, so we would have benefited much more greatly, at least in my opinion, than Sony would have, at least initially, at least for a year or two. But Sega of Japan didn’t want any of that. Sega-16: That sounds a lot like what happened with the Sony/Nintendo CD-ROM. Sony was willing to enter into a joint hardware platform but was ultimately rejected by Nintendo in favor of Phillips. Tom Kalinske: Yeah, but I think ours preceded that though. Sega-16: So Sony essentially brought their ideas to the two big guns in the industry, only to be turned down and forced out on their own. Tom Kalinske: Yeah, they had no choice in their mind, I’m sure. First, they tried to go with one of the two big companies and when that failed, well of course they have to go out on their own. And of course, they ended up benefiting tremendously because of that. Sega-16: That would come later, though, but for the moment it must have felt good to see Sega overtake Nintendo as the #1 hardware manufacturer! It’s been said that the company never really took Sega seriously as competition, (a grave miscalculation obviously) and considered NEC’s PC-Engine to be the real threat. Why do you think Sega was able to take advantage of this overconfidence when other companies, like Atari with the Jaguar, 3DO, and even NEC itself were unable to? Tom Kalinske: Well, I think you hit it on the head. I mean, Nintendo was the ultimate in arrogance at that time. They treated their third parties very badly and with an iron hand, and told them that if they developed for Sega, they were going to get punished. So, there were a few breakaways that published for us, and of course there was the great relationship we had with Electronic Arts in the sports category, which put them on the map and also put the Sega Genesis on the map to some degree. So, everything we did was in a mutually beneficial relationship. They were just arrogant, and they just didn’t believe in Japan that we were going to be that successful, and certainly in the U.S., for a long time they didn’t believe that we were going to be as successful as we were. Sega-16: Do you think you underestimated the impact Donkey Kong Country would have? Tom Kalinske: Not really, but I also don’t think that was the only reason for their coming back successfully at us. Sega-16: Despite all the criticisms leveled against the 32X, the final product was actually much more powerful than what Japan had originally envisioned. Even so, many gamers question Sega’s decision to release it in light of the Saturn’s impending launch. Looking back, what are your thoughts on the whole 32X scenario? 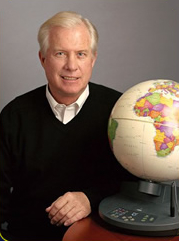 Tom Kalinske: Well, Joe Miller was really the father of the 32X, and a strong proponent of it. But I think it made a lot of sense, in theory. We couldn’t get a 32-bit platform out quickly enough, so why not add that capability, to the degree that you can, to the 16-bit platform? That’s what Joe came up with. Sega-16: Many people have argued that the 32X was a stop-gap measure designed only to bide time until the Saturn was released. Are they wrong? Tom Kalinske: No, no…it really was designed to be an interim piece and to prolong the life of the 16-bit platform. I think, in hindsight to me, the great lesson is don’t ever expect an add-on device to be as important as a true, new platform. And I think that’s what we had in mind. We thought were going to sell millions of those, and that was unrealistic. Sega-16: It appears that time has vindicated you regarding your 1994 assessment that the 16-bit market was going to be viable well into 1996, and Nakayama seemed to have made the correct decision for Japan when he chose to discontinue everything in order to focus on the Saturn. However, do you think he should included America and Europe in his decision to discontinue the Genesis when it was still selling so well in those territories? Weren’t they sort of putting all of their eggs in one basket by rushing the Saturn out over the much more established Genesis? Tom Kalinske: Well, I felt that way. I felt that we were rushing Saturn. We didn’t have the software right, and we didn’t have the pricing right, so I felt we should have stayed with Genesis for another year. I recognize that our volumes would have gone down, but I think we would have been a much healthier company. We would have been more profitable, and I think the folks who appreciated video games would have appreciated that we were still doing a lot of great product on the 16-bit hardware. Sega-16 is thankful to Mr. Kalinske for taking the time for this interview, and we wish him the best in all his endeavors. For more information on Tom Kalinske’s tenure at Sega, be sure to read our article Tom Kalinske: American Samurai.